The recent partial shutdown of the Federal Government has left many contractors hurting. However, contractors may be able to recover some of the costs they incurred during the shutdown. Since this was not the first Government shutdown, there are precedents showing what arguments have succeeded, which have failed, and what the Government’s position is likely to be. One such case is Raytheon STX Corp. v. Department of Commerce, decided by the General Services Board of Contract Appeals -- forerunner of the current Civilian Board of Contract Appeals -- following a shutdown near the end of the Clinton administration. In that case, the Government argued that the shutdown was a “Sovereign Act,” i.e., not an action taken by the Government as a contracting party, but rather, part of the Government’s “public and general acts as a sovereign.” As such, the Government argued, it was immune from suit. The Board disagreed, finding that the shutdown was a sovereign act, but that the sovereign acts doctrine does not bar recovery because the Government closed the sites of performance and stopped work for an uncertain time frame while expecting the contractor to maintain its work force and resume work immediately after the shutdown. The Board said that “maintaining skilled scientists and computer technicians capable of performing these contracts did benefit the Government by ensuring that these individuals remained available under the contracts after the shutdown was over.” Therefore, the contractor was entitled to recover its employee and subcontractor salary costs actually paid during the shutdown. On the other hand, the board rejected some of Raytheon’s claims, saying it had failed to prove some of its claimed costs were attributable to the underlying contract and to prove that it had taken all appropriate steps to mitigate its costs. The Board also denied reimbursement of salary costs that had not been paid. Following another shutdown in 2013, the Armed Services Board of Contract Appeals held in a case called Amaratek that the contractor had to be paid for a full month of performance during the shutdown despite working for only a few days that month. The contractor was entitled to be paid, the Board held, because work under that contract was divided into monthly service units and the company had worked as much as it could during the month when the shutdown occurred. In short, a simple claim that the Government shutdown delayed performance or caused the contractor to have idle labor may run up against the Sovereign Acts Doctrine. But, if the contractor can tie its claim to a contract requirement or payment term, that claim will have a better chance. 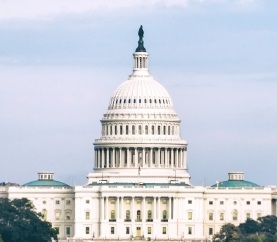 Another type of claim may arise post-shutdown if, for example, the Government refuses to extend performance milestones and deadlines to account for the number of days that work was stopped by the shutdown. That could constitute a “constructive acceleration,” because the work that should have been performed in ‘x’ days will now have to be performed ‘x minus 35’ days. Remember that some contract clauses require that contractors give notice of upcoming claims. While contracts and clauses differ, a safe bet is to give notice within 20 days of any constructive change, constructive acceleration or suspension of work of claims or requests for equitable adjustment that may be coming. Also, remember that contractors bear the burden to demonstrate their entitlement to costs and the amount of those costs. Ideally, contractors will have created separate charge codes for costs associated with winding down and starting up when the shutdown began and ended, as well as for any idle labor. Contractors that implemented such “Change Order Accounting” will be in a better position to recover. Likewise, contractors will ideally have evidence of steps they took to mitigate costs. But, even the absence of such documentation is not necessarily a complete bar to recovery. What about work that was completed before the shutdown but not paid for in a timely manner because a Government disbursement office was closed? In such cases, contractors should make sure they collect Prompt Payment Act interest. Give timely notice of potential requests for equitable adjustment or claims. Tie REAs and claims to specific contract provisions. Have proper documentation to back up REAs and claims. Review payments to ensure any required Prompt Payment Interest was paid.